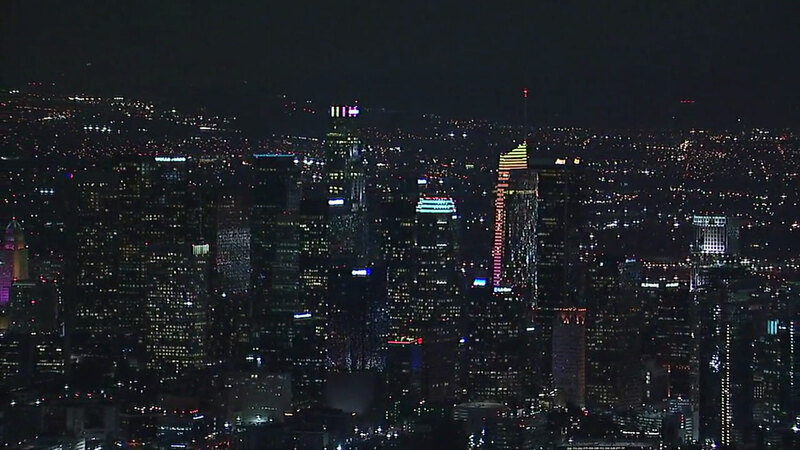 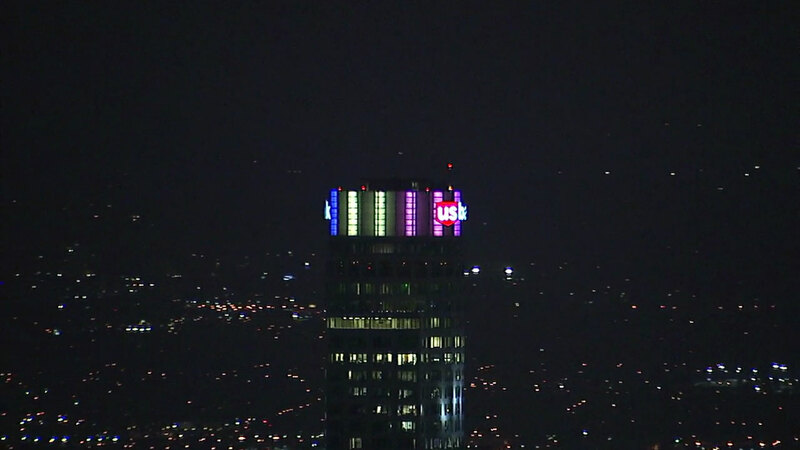 LOS ANGELES (KABC) -- Landmarks around Los Angeles were lit up Tuesday in support of the region's bid for the 2024 Olympics. 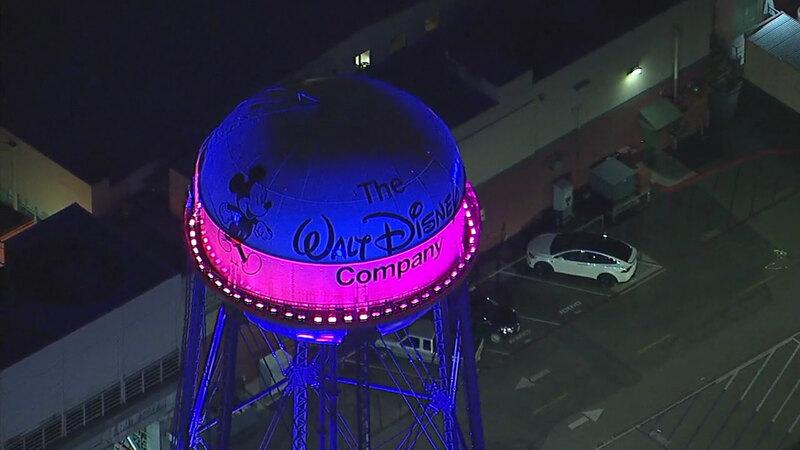 Hollywood studios, including Disney, Warner Bros. and NBCUniversal, illuminated their water towers or buildings in the colors of LA sunsets and the LA2024 logo to support the bid. 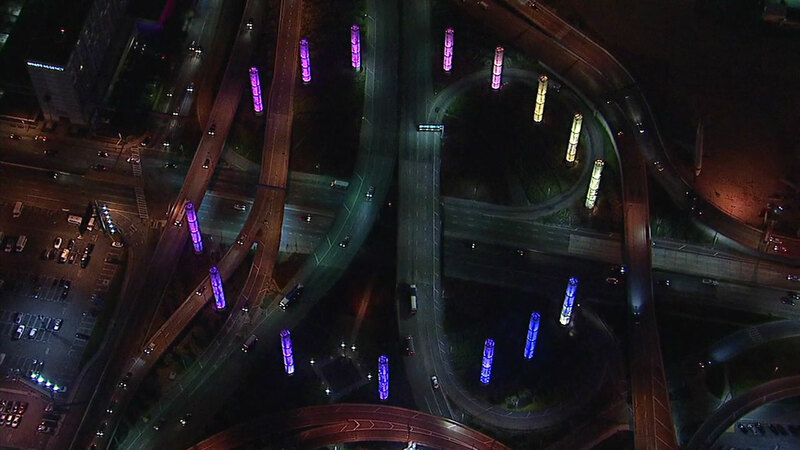 Also participating were more than a dozen Los Angeles landmarks and tourist sites, including the U.S. Bank Tower, Walt Disney Concert Hall, Griffith Observatory, the Santa Monica ferris wheel and Los Angeles International Airport. 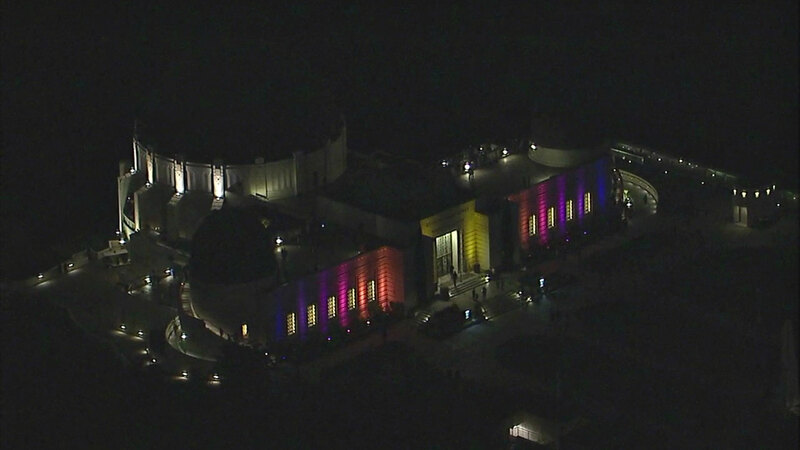 The landmarks were lit up as the International Olympic Committee's Evaluation Commission arrived Tuesday in L.A. for three days of meetings and visiting potential venues. 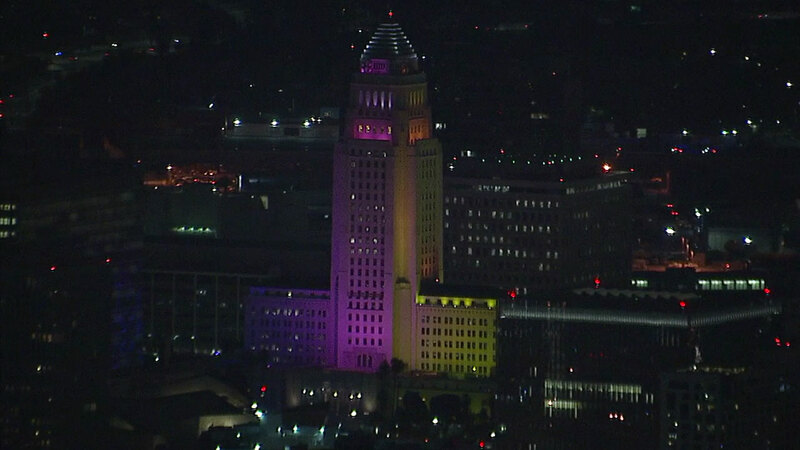 The commission will next visit Paris, the only remaining competitor to Los Angeles for the 2024 Summer Games.